Wondering if my Flying High! book is for you? Well, don’t take my word for it! A lovely review of the book appeared today – which you can read here. I’ll give you a few snippets below, to whet your appetite. 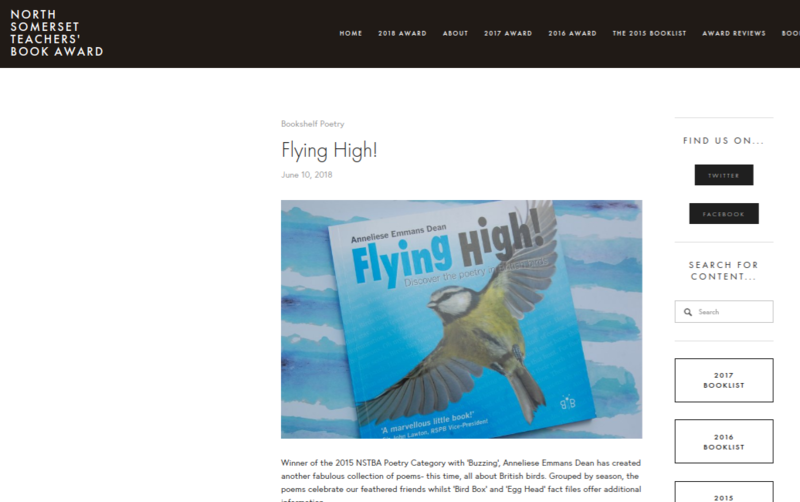 You can find out more about my award-winning Flying High! book here, and watch videos of me performing some of the poems here. And if you’d like me to dedicate a signed copy to you, pop across to my store. Pop across to the North Somerset Teachers’ Book Award website to find out more great book recommendations for children. And to my Book Reviews page to read more reviews of Flying High! Previous Let me edu-tain you!